Kyndall Harris and Taylor Hatala are more than just best friends. They’re the badass duo Kyntay (you might know them from NBC’s World of Dance), and they came to slay. Their slick choreo and precise hip hop will pump you up (see below), but we wanted to know what music pumps them up. We asked the girls to share their favorite tracks, and they didn’t disappoint. Here are their top picks. To keep up with Kyntay, follow them on Instagram @Officialkyntay or Twitter @Officialkyntay (or follow Kyndall on Instagram @Kyndallharris and Taylor on Instagram @tayd_dance). Love dance as much as us? 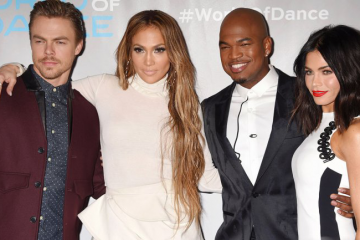 Tune into NBC’s World of Dance Tuesdays at 10/9 central to see the world’s best dancers battle it out for a whopping $1 million prize. (Here’s everything you need to know about the show, from the competitors to the rules, in case you’re out of the loop). Don’t miss exclusive interviews, performances, and more from the definitive source for all things NBC World of Dance.